I run an RPG group for children. Well, we’re a general tabletop gaming group, actually, but D&D is the current focus. For the past few years, we’ve mainly played board games with an occasional go at the D&D or Star Wars: Edge of the Empire starter sets thrown in. We’ve always hovered at between 3 and 6 children attending, usually seniors. These were good numbers for the sorts of games we were playing. You know, like Lords of Waterdeep, Galaxy Trucker, Carcassonne, Settlers of Catan, King of Tokyo/New York, The Resistance, Coup, Specter Ops and similar. If I was feeling masochistic I might even throw in Pokemon Master Trainer now and then – I may hate it, but children seem to love it. A broad mix of games that just don’t take too long to play, given our limited time. This year, with most of my seniors having left, I felt a shift in focus might be appropriate and I put out the offer to the junior school, looking for younger players. The response was fantastic, and we have more than doubled our peak attendance, with 14 children signing up, with most attending week to week. I was delighted that unlike previous groups, there was a good gender split, with 5 girls signing up. When asked what they wanted to play, they really wanted to try D&D. Yeah, I was down with that, so we spent a session coming up with characters. Originally, years ago, the group was set up to support children with ASD in interacting with their peers. 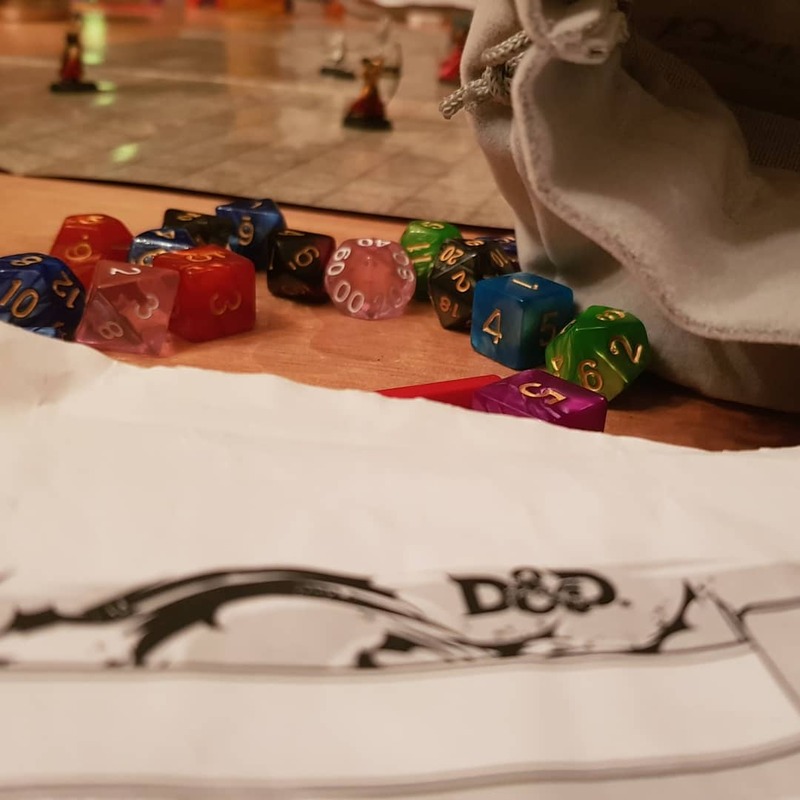 Sure enough, we again got a good mix of children with and without ASD, so D&D was a nice choice with lots of opportunity for, and scaffolding around, social interaction and communication. I also had to draft in another adult. I’ve GMed for large-ish groups before, but 14 was way past the number of cats I could herd at once. The children were therefore split into two groups. Myself and the other GM have decided to take different approaches with our respective groups, having different settings and focuses in our games. This gives even more scope for social interaction, as children have been keen to compare and contrast what happened in their own group and what happened in the other group. I’ve really enjoyed taking my group. I’ve always enjoyed the tabletop group, but with lower numbers and sometimes rules-heavy games, the group was often quiet, thoughtful, and reserved. The new group is much more animated, inquisitive, and keen to try out different solutions to problems. I’ve been delighted with some of the creativity we’ve seen, from that initial character creation session that saw so many great ideas bubbling up, to one girl using a normally-harmless cantrip to interesting effect in combat, to the creative insults our bard comes up with when casting Vicious Mockery, to another girl’s creative, ingenious and potentially hilarious response to her character’s death. I could list so many examples, but suffice to say that the whole process is refreshing and inspiring. I’m looking forward to seeing how these games pan out, but we do have one interesting question ahead of us: what next? I don’t expect the current campaigns to run past Christmas. When that point comes, what’s next for the group? More D&D? A different RPG? Other tabletop games? We’ll have to have a think about that one, and a discussion with the players themselves. In the meantime, I’m having a lot of fun and, more importantly, so are the group of children who choose to stay behind for an hour and half after school once a week, coming to the school library to sit around a table and tell stories.